Kids love being out and about and you don't want to worry about the harmful damage that the sun can do when they are having so much fun. These hats are ideal for primary schools, preschools, childcare centres and sports clubs where kids are outdoors. The wide brim will protect their faces from UV rays and they hats are lightweight and easy to wear. The adjustable toggle makes them even more functional, allowing you to adjust to the perfect fit so the child does not need to worry about the hat falling off. 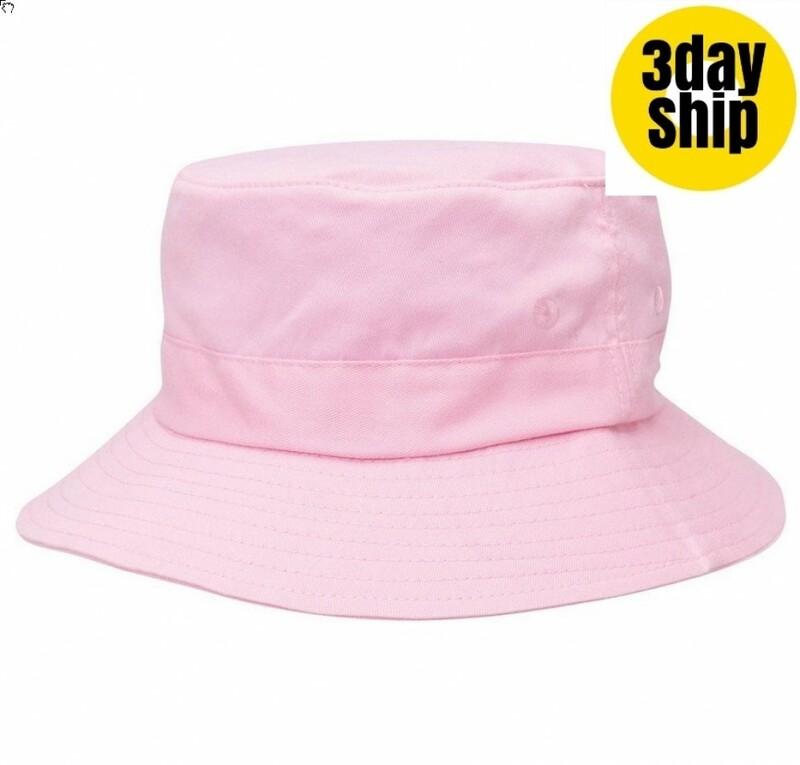 The hats are manufactured from a high-quality cotton twill which is extremely durable fabric and easy to care for by hand washing in cool to lukewarm water. Allow to air dry and do not squash flat when not in use. Your school emblem will look great embroidered onto the hats, spreading visibility and improving recognition of your school. These hats are also great for childcare centres, preschools and children's social groups. Our pricing includes 8k embroidery of your graphic. Choose to place your logo on the peak, sides or back of the cap. Embroidery can accommodate the multiple colours of your logo and graphics. A set up of $50 applies for orders under 50 units. Delivery within Australia only. Pricing excludes GST. Other branding options are also available -- check out our FAQ. Adjust toggle to fit sizes 51-54cm"